Unlike other metaphorically self-referential Phish songs – “Roggae” or “Simple,” for example – “Walfredo” references both specific people and identifiable events. “Walfredo” is at least in part a tribute to a friend, drummer and percussionist Walfredo Reyes, Jr. “Walfredo” was part of David Lindley’s band back in the latter 80s, “ten years since I saw you grooving at Hunt's with El-Rayo-X.” Later encounters find Walfredo “eating crab at Merriweather Post” 7/17/92 as Phish warmed up for Santana, another musical stop of Walfredo Reyes. Other notable characters in the song include Karl Perazzo, Raul Rekow and Rodney Holmes, all members of Santana's touring act at one point or another. “Rock A William” makes an appearance in “Walfredo” as the song takes us to Trento, Italy on 7/3/96, another Phish collaboration with Santana. Along with “Rock A William,” another unique aspect of “Walfredo” is that the song was written with the intent of having the band members play instruments other than their own. For both of these tunes, Fish takes the bass, Mike plays guitar, Trey sits at the keyboards, while Page assumes Fish’s seat behind the drums. While the instrument switching can be respected as something holding importance as a band exercise – a “walk a mile in my shoes” sort of thing – it is probably fair to say to suggest that each band member has pursued the regular instruments best suited for them. “Walfredo” was first performed on 2/13/97 in London, a tour-opening performance that also witnessed the debut of “Rock A William” and the Phish debuts of “Love Me,” “My Soul,” and “When the Circus Comes.” It made only four more appearances – all during that same winter 1997 European tour, on 2/14/97, 2/18/97, 2/22/97, plus a radio performance on 2/26/97 – and then was shelved before even a single appearance on American soil. 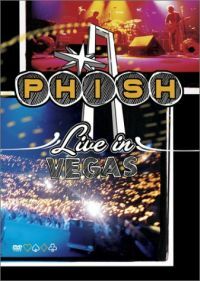 After an absence of 248 shows, “Walfredo” made its unexpected return on 9/30/00, a show captured in its entirety for the Live in Vegas DVD. After a short delay due to technical difficulties (likely due to the instrument switch), “Walfredo” opened this 2nd night of the Vegas run that featured no less than a half dozen bust-outs. Walfredo Reyes, Jr. and Mike had another “passing moment” at a performance by The Dead. In 2003 Reyes, Jr. was a member of Steve Winwood’s band, who was opening shows on The Dead’s summer tour. On 6/20/03 at SPAC, Walfredo was a guest of The Dead during their “Drums” segment; "Drums" then segued into a bass duet with Phil Lesh and Mike. Fast-forward another 131 shows from the Vegas performance and the seemingly inevitable appearance of the song at the venue featured in its lyrics, "Walfredo" was performed on the Merriweather Post stage on 6/27/10. This show opener set the stage for a very "1997-infused" gig that included "Meatstick," "Saw it Again," "Piper," and "Ghost."